I attacked Cape Town with fervor this past week, and ticked the checklist of must sees: flora and fauna at Kirstenbosch gardens—check, Houts Bay harbor—check, Table Mountain—oh yes, check. Add to that much wandering the streets and chatting and the only thing left for this week is Robben Island and a township tour. As such, this week’s musings read more like a rundown of things to do in Cape Town edition—it’s been a great week. Each day I worked in the early mornings, sipping excellent coffee at one of the many trendy coffee shops (CT definitely holds its own in the coffee department!) and I took to the streets to wander and photograph in the afternoons. So, that’s not me, but she looked so peaceful there on the ledge looking out from Table Mountain into the Cape Town Harbor. The city’s wide range of ethnic groups are still largely separated, and each neighborhood is steeped in its own culture, food, and religion, giving distinct vibes to the various areas of town. And as such, it’s through the sum of each quarter and suburb that the city’s long history unfolds, a fact that has made my two weeks here more interesting that I had imagined. A walk to the waterfront from my hotel passes the District 6 Museum, a museum built to honor the former District 6 residents who were forcibly removed from their homes and relocated when the government declared Disctrict 6 a “whites only” zone during apartheid. The government razed their homes and history to the ground in the 70s and moved the residents to the townships outside of town. 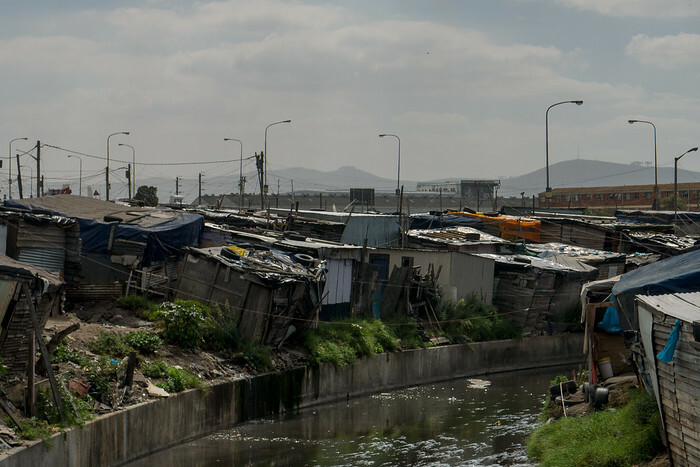 Now, much of District 6 itself is still a wide expanse of rubble-strewn land, neither trees, nor homes, nor people populate the noticeably empty hills. Another day, I wandered away from the Central Business District; the indistinct city architecture—tall buildings and weaving cars—suddenly dropped away and low-slung, colorful houses marched up a sharply sloping hill in the Bo-Kaap area of town. This section of the city drips with Indian and Malay influences. The Cape Malays settled this gorgeous section of town, building beautiful mosques and a creating a cheerful rainbow of colors throughout the neighborhood. My love for Indian food is no secret, so I grabbed a mango lassi and walked the streets until late-afternoon, when I was told it was no longer safe for me to be in the area. 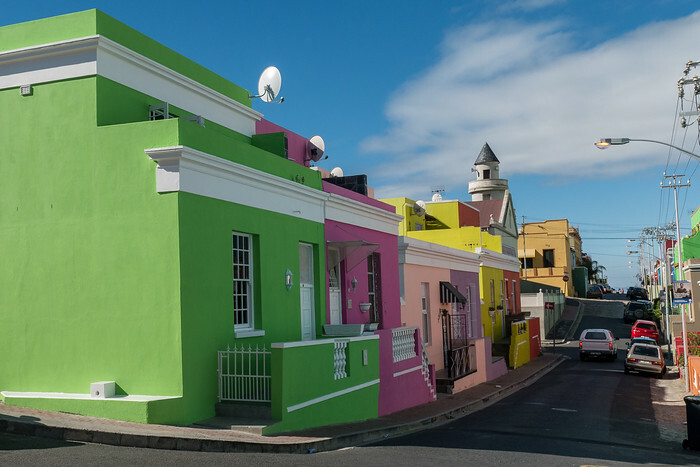 The very pretty Bo-Kaap area of town is just off of the CBD and its quiet streets were settled by the Malaysian, Indian, and Indonesians who were originally brought to Africa as slave labor. 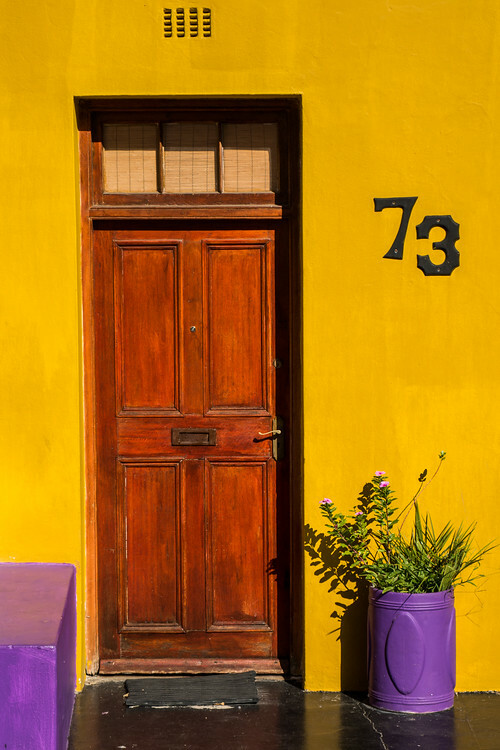 A brightly colored door in Bo-Kaap, Cape Town. This is a common refrain during my time here. Leaving Bo-Kaap last week was my first true reality check. The city feels so developed at times, and it’s easy to forget that the wealth disparities and recent past make it dangerous past dark. Though this is true for many big cities, the vehemence of the warning is more pronounced here. I chatted with a grandmother on her steps in Bo-Kaap, and as our conversation wound down her son stepped outside and issued a gentle, firm warning that the lowering sun was my indication that it was time to head back to my hotel. Locals from all areas of town take a moment to warn me of the dangers if they see me out past 5 pm, though if I take a more hardened “city-look,” head down and walking purposefully, no one comments. But if you look friendly and like a tourist, you’re warned that it’s best you stick to the Waterfront or more touristy areas of town past dark. These past weeks have reminded me of my travels in Guatemala, which is the only other country I’ve visited where I was so frequently warned of the local dangers (women on the chicken buses in Guatemala often passionately warned me that the country was too peligroso for a solo woman). Those are pieces of the city though, and the lighter side of it all is the beauty at every turn. 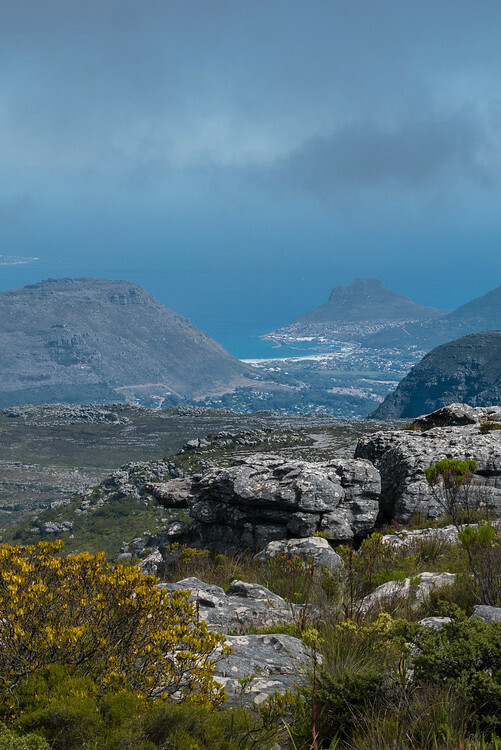 The city’s natural geography is a big part of the draw and the defining physical feature, and crowning glory, is Table Mountain, the most famous UNESCO World Heritage site in South Africa. The mountains are visible from most roads all over the city and the shifting moods of Cape Town’s weather mean you never know when you turn a corner what will happen on the face of the mountain. At one moment, clouds pour over the cliff-face like a living, flowing tablecloth—the mountain’s eponymous natural phenomenon—and just an hour later the mountain clears with crisp late-afternoon sunshine. Before Gary left, we took the rotating cable car (so cool!) to the top of the mountain, to Table Mountain National Park, where we hiked around for a bit and found the long-range view out toward Cape Point. My conclusion: you just can’t take an ugly photo of this city. A flat wave of clouds begin to roll in over the edge of Table Mountain. The view of Cape Point from Table Mountain, Cape Town. My time is ending and I have a flight to East Africa this weekend. The Great Computer Debacle of 2014 (that’s what I’m calling it now), coupled with the sheer size of this continent made me reconsider going fully overland and instead I fly directly to Nairobi, and from there I will travel overland through that region until I leave Africa in June. Also, thank you for the dozens of emails and recommendations about the computer situation! They didn’t honor my international warranty on the PC, and they held it hostage for an extra week just for funsies, so I bought a Mac. The sad reality of import fees and taxes meant that a very low-end PC was $700+ USD, but the Mac came with all the higher end specs and, as a foreigner, I can claim back my tax (14% VAT here) at the airport. It seemed a wise move in terms of value and ease. At the end of the day, I needed something now that would get me back on the road so I could catch up on client work and move onto the projects and initiatives you all have recommended in East Africa. Before I leave, I have three things left: the boat to Robben Island, a township tour, and a morning volunteering at a food bank nearby. I waffled on the township tour when I first arrived because I wasn’t sure about the ethics, but the realities seem a bit different from the slum tourism debates in India and other places. Here, locals living in the townships have urged me to go visit, to hear their stories and support their businesses and developments. As such, that’s on the docket tomorrow and I’ll share more about it next week, and I’ll be writing from Kenya! Week two of the African journey has ended, and I’m on my own from here out. Looking back though, the final leg of our South African road trip started at the country’s rugged coastline as we left the wide stretches of farmland behind and worked our way down the southern coast. We spent days hugging the coastal waters and skirting mountain ranges until we reached the southernmost point in Africa. 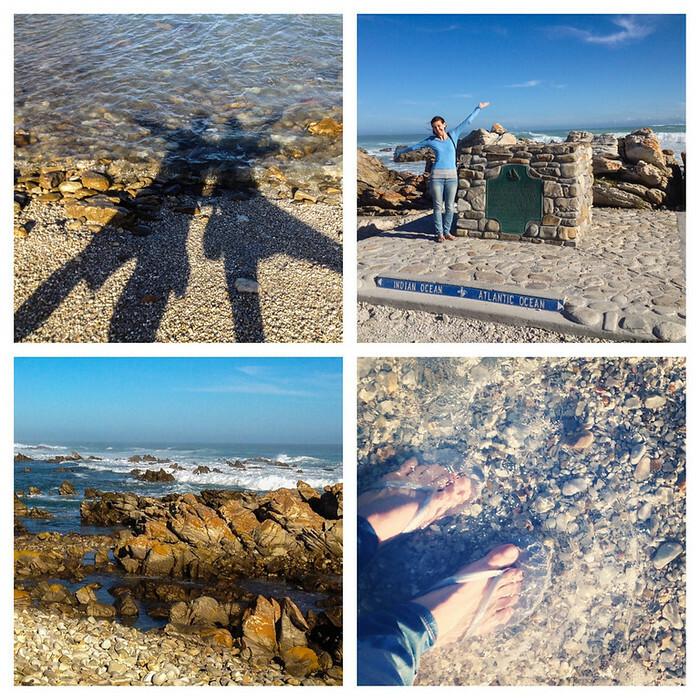 Cape Agulhas is a rock-strewn and windy beach punctuated by a shipwreck, a lighthouse, and a long boardwalk allowing us to watch the clash of rough waters where the Indian and Atlantic Oceans meet. 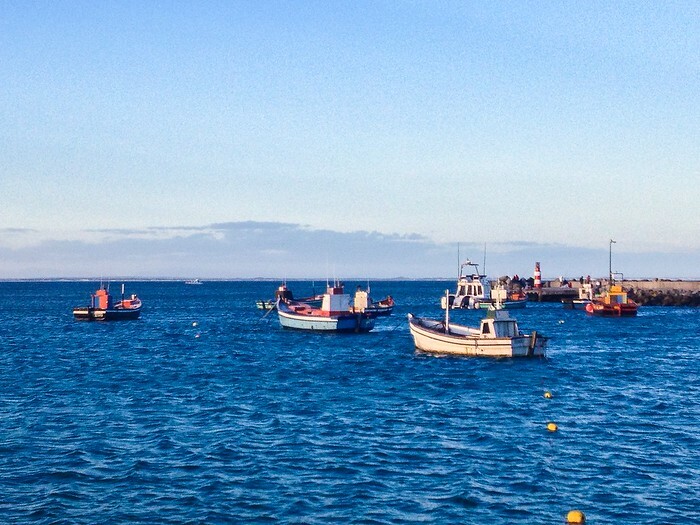 From there, Gary and I headed further along the coast to the Cape Peninsula—and a much more touristy area of South Africa—before heading into Cape Town and then, sadly, parting ways as he heads to St. Helena and I am here for another week or two. Along with the pretty vistas though, this past week was entirely framed by the sad demise of my laptop. And, if you follow me, you know I use my laptop for client-work, which is the sole way I fund my travels. A small water incident just as our road trip hit the coast led to an endless litany of international phone calls, domestic phone calls, and back-and-forth with my international warranty providers to get it fixed. It is, if I am lucky, getting fixed, so cross your fingers. And this entire debacle begs the question of tech gear and which laptops are best for international travel. In 2010, I used a Mac on loan for three months and I loathed it… I really just loved my PC. In addition to familiarity, I have easily fixed PCs many-a-time on the road (Bangkok in 2009 and Bali in 2010 to name just two—I’m hard on my gear!). But Gary made a compelling case for switching to a Mac, and that is their policy on international repairs, which seem a lot more friendly than what I just went through. Add to that strong recommendations from my favorite tech-travel gurus at Too Many Adapters, and I may make the switch this summer. Import duties here make buying a Mac here astronomically more expensive than in the US, so I am hoping they can fix my PC. But, change is a’comin’ methinks. Thoughts? I know the Cult of Mac has many diehards, can anyone weigh in on what it’s like to fix a Mac overseas? 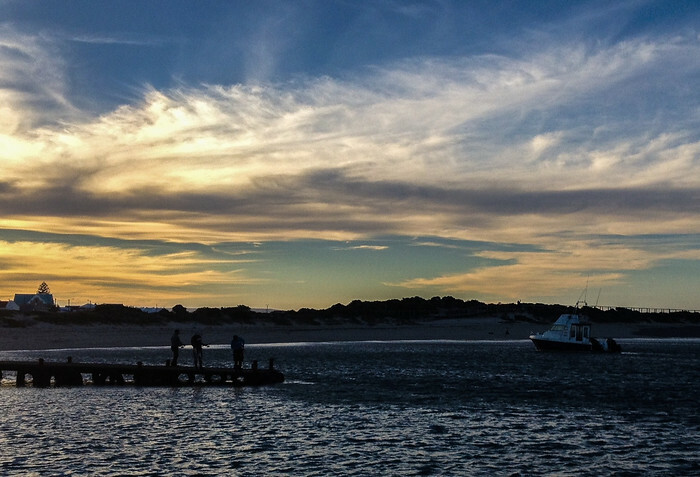 Sunset in Strusbaai, near the southernmost point in Africa. Kids fish at dusk in the calm waters of the harbor. 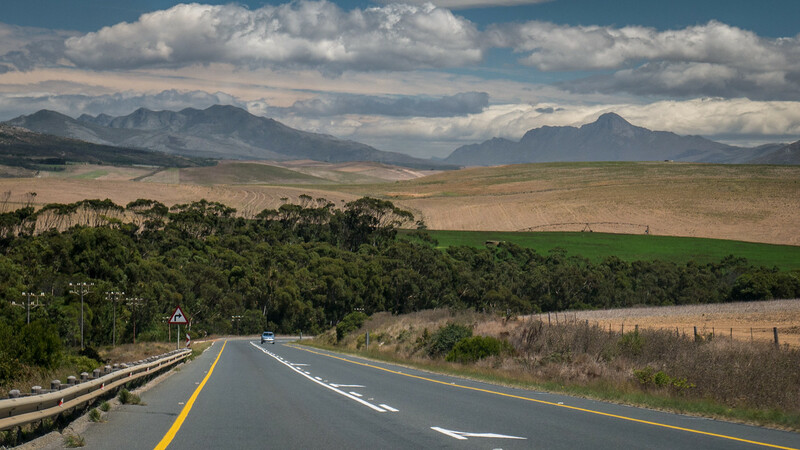 This past week, OnTravel, a show on the American Forces Radio Network, invited me to join Gary on a two-part episode about our South African road trip (part one, part two). We discussed our first impressions here, from what it is like to travel through post-apartheid South Africa to the infrastructure and misconceptions surrounding this region of the world. I own up to holding many misconceptions before I landed because I did not properly prepare for traveling here. With the flurry of NatGeo activities just before I left, I did far less pre-trip reading than I had planned. 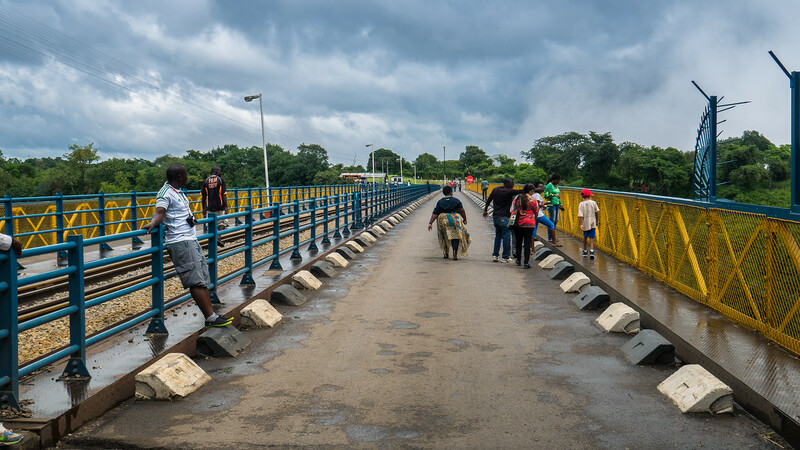 The reality on the ground here is of a developed infrastructure ideal for tourism. I know some of the more developing places I will visit next won’t have this, but I had lumped South Africa into that as well, and it’s not the case. The country has well-maintained roads, many guesthouses, and well-run tours throughout the more populated areas. While vast distances do separate many cities, it’s easy to use the web of hotels and roads to explore. It’s travel-able in a way many people overlook or assume is not the case. The mainstream media paints this entire continent with a twin brushstrokes of unsafe and troubled under the best of circumstances and war-torn at the worst; South Africa is casually marked within those assumptions too. Yet the are moments when it seems as easy and high-functioning as any modern city back home. Gary and I noted that Cape Town feels a lot like San Francisco in climate and vibe. But then, that is just a perception as well. The legacy of issues here snapped into view when we drove through the outskirts of each city. Before I make the picture too rosy, a short drive out of Cape Town yielded views of the largest township I’ve seen so far; corrugated tin houses stretched far into the horizon and the stark poverty of this predominantly black area lied just on the edge of wealthy towns built to pull tourist dollars from the hot-spots of the Cape of Good Hope and Cape Point. A shot of the Cape of Good Hope from the Cape Point Lighthouse right at the tip of the peninsula. Just last week, I described how the vast plains often gave way to the sudden rise of towering mountain ranges, so too, the cities change from very developed and Western, to sprawling townships awash in poverty. Some locals in town tell me of changes, of the slow process of building solid homes in these areas to replace the tin shanties, but to understand more I need to read up a lot more on this part of the country’s history. I’d like to crowd-source some good books I should read about this region—any recommendations? Like any new place, there are fun and frivolous discoveries as well. 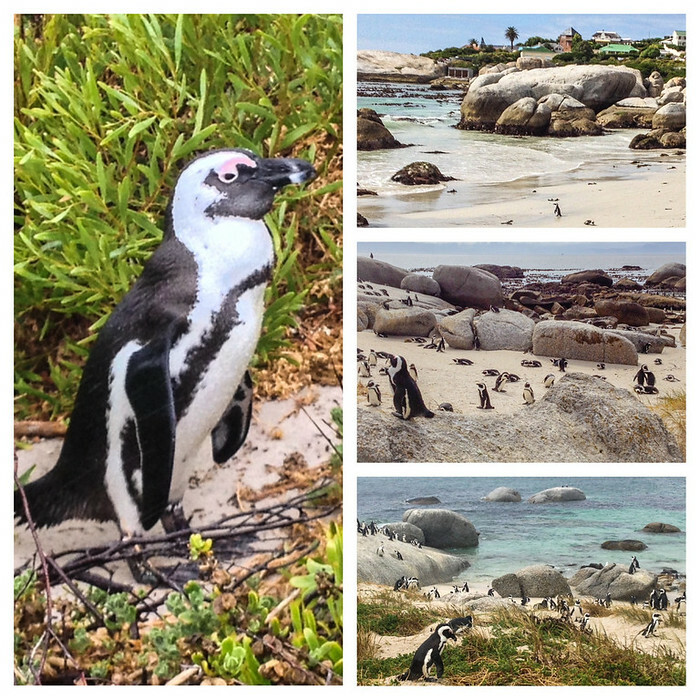 Tourism dollars pour into the Cape Peninsula for good reason—gorgeous views and cute animals are pretty compelling. Cape Point is home to a very adorable colony of African penguins, marked by a pink blush above their eyes, which live in just a few coastal colonies in this region. A lot of people assume these little guys don’t live outside of Antarctica, but places like Melbourne, Australia also have their own breed of penguins calling home to their cool waters. 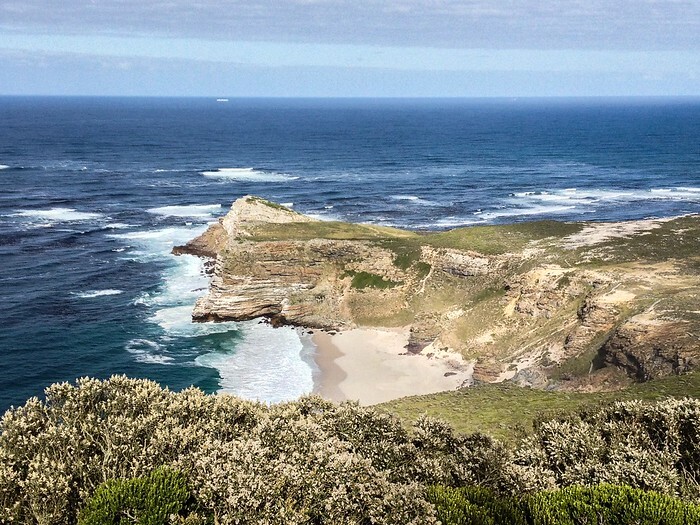 The penguin colony have a prime spot too, they live on a beach just down the road from Cape Point and the Cape of Good Hope—panoramas worthy of applause. 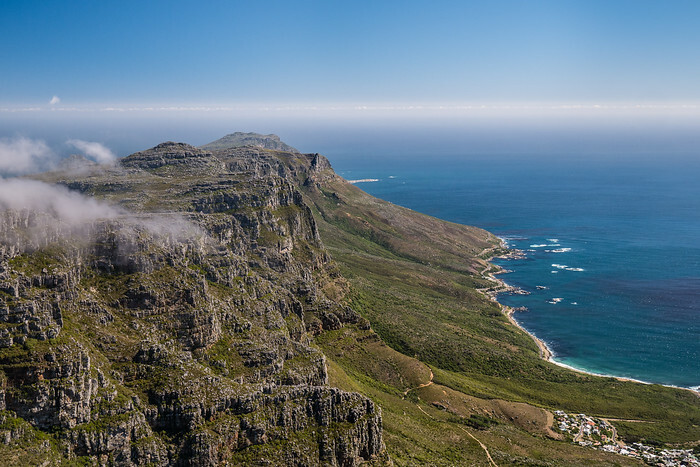 From the top of Cape Point, only white patches of surf mar the stretches of unrelenting rough blue waters to give evidence the dangerous, rocky coastline boats face as they round the southern tip of Africa into Cape Town Harbor. Thus far, the trip continues on a more travel-y side until I can fix my computer and start investigating some social enterprises. In terms of places to be stuck for a while though, Cape Town is not shabby. The clucking toddler wandering my internet cafe reminds me it’s time to head out into the sunny day and continue exploring the neighborhoods and markets of my new and very temporary home. It’s been a whirlwind first week here in Africa; after 40 hours in transit from Washington, DC to South Africa, a fellow travel blogger—and friend—met me with a smiling face and a plan at the Johannesburg airport. When we first noticed our travel plans matched up we decided to team up for a South African road trip before I head out solo. 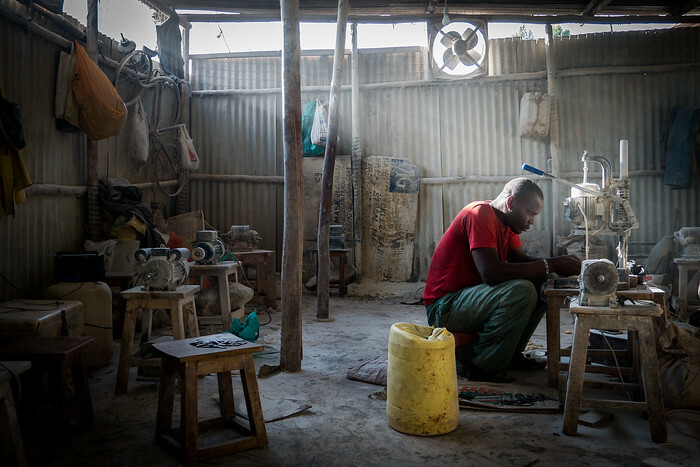 These next few months in Africa are a new adventure for me as I head overland in search of grassroots, local-level enterprises, so this marks the first dispatch in a new weekly series on the site that will share some of the quick impressions, smaller anecdotes, and updates on my route. I often overlook the details in the stories I craft, but emails over the years indicate that these missing nitty-gritties baffle some readers. In a story, it appears as though I magically appear in a new place. The reality is often hours of bus rides, plane flights, rough hotels, endless negotiations for vegetarian food, and a lot of days spent getting lost and asking many questions (which already baffles Gary—I am forever stopping random strangers and asking for help!). I finished my first week on the continent of Africa. First impression: It’s enormous. I over-estimated my ability to travel north in a mere four months. 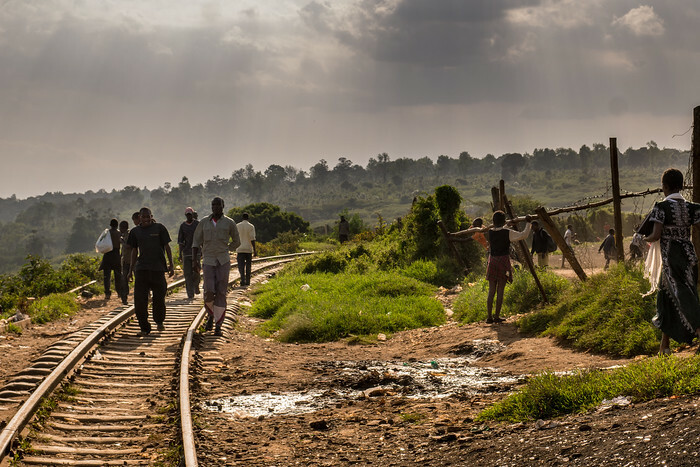 Africa looks large on the map, but the reality on the ground makes it ever the more evident. And a roadtrip? Well, it drove home the point even more so. The initial plan was to go overland up through Africa toward Kenya until June, but that seems less likely now that I’ve seen that our 20+ hours of drive time this past week took us through hours of unpopulated, shrubby flatlands broken up by an occasional hill or a massive field of sunflowers. And we haven’t even crossed half of South Africa. Vast, anonymous distances separate the larger cities; if you’ve ever driven across Texas for 10+ hours, this is akin to that. It just never ends. A welcomed break in the monotony came from a side-trip to the Kingdom of Lesotho, a separate, landlocked country lying like a pebble tossed on a map of South Africa. The landscape erupted from the red plains and this tiny country is mountainous and culturally very different. Few white South Africans seem to live there, and shepherds wearing blankets and traditional hats tended their sheep along the roadside. After hours of seeing few people, driving into Maseru, the capital, was an explosion of lively food vendors, chaotic streets, shouted “hellos” followed by vigorous waving, and rapid chatter in Sesotho. We spent just a few hours driving through and lunching in Lesotho; one day I’d like to return and explore more of the mountain towns—our micro car doesn’t have the engine power to make it there this trip. 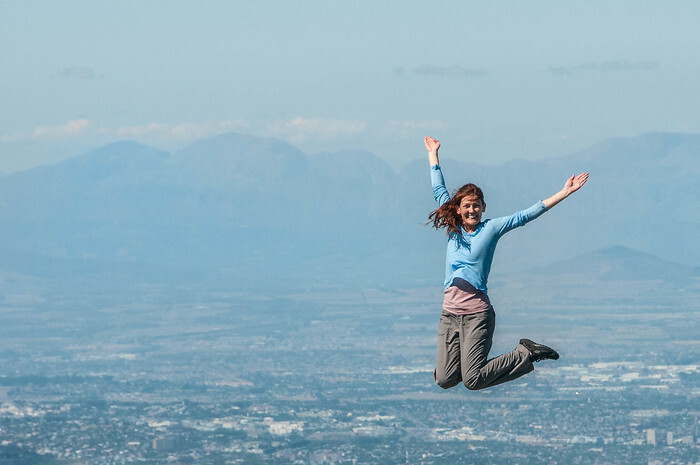 I jumped ahead though, because before driving south from Johannesburg, we caught a flight to Zimbabwe and spent a weekend exploring Victoria Falls, which straddles the border between Zimbabwe and Zambia. Initial impression of Zimbabwe: expensive, easy and friendly. Outside of Vic Falls, I hear the prices are more on par with other regions of Africa, but we visited in the off-season and only a few, expensive restaurants were open this time of year. 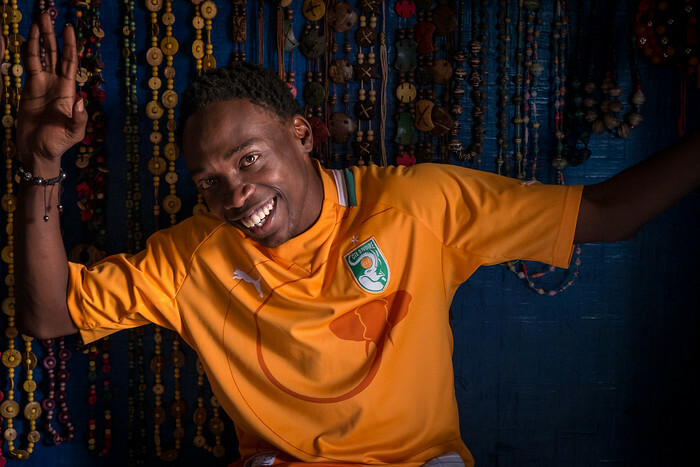 Another thing that surprised me, and I may be naïve, but English is truly a default language in this region of Africa and I loved having the ability to chat and ask heaps of questions. Lots of readers fear the language barrier, but here, as with other places, it’s often a non-issue. Our focus was visiting the falls, which are spectacular. I could wax poetic over the Victoria Falls, but the word “spectacular” sums it up nicely. I’ve never visited any of the other major waterfalls in the world, neither Niagara Falls nor Iguazu Falls, but even so, this waterfall rates. 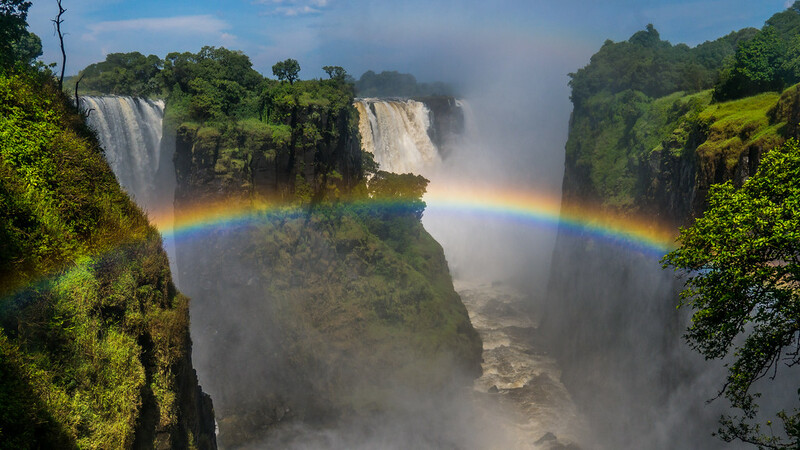 Vic Falls is also called Mosi-oa-Tunya, which translates as “The Smoke that Thunders,” a very fitting name if you visit in the wet season when you’ll witness the largest falling sheet of water in the world as the Zambezi River pours through the gorges. One thing of note, and if I had done my research perhaps I would’ve known, is that this is the rainy season for Victoria Falls. So, while the Zambezi River is gorgeous and full, much of the falls were completely obscured by the dense mists created by the gushing water. Actually, mist is a bit of a misnomer, at points it was as if we were walking through a full, mid-summer Florida rainstorm as gusting winds lifted the water from the gorge and into the viewing areas. There are a few things, like rafting and swimming in the river, I would have liked to have done, but opted not to this time around—I’ll be back in dry season one day! Also, we visited both sides of the falls, which meant a quick border crossing for the afternoon. And while Zimbabwe claims most of the falls viewing areas, both sides are worth a visit because Zambia offers gorgeous viewpoints of the falls from a bit further back. If you’re in the region, I’d suggest doing both. Called “The Smoke that Thunders” in the local dialects, the force of the water hitting the gorge creates a think mist around the falls. This week Gary and I finish our drive down the coast. Although we’ve been moving quickly, we also stop at each and every UNESCO World Heritage site in South Africa — Gary’s goal is to visit every sight in the world. We will end our road-trip in Cape Town, with a stop at Robben Island, the Cape of Good Hope (and Cape Agulhas where I’ll reach the southernmost tip of Africa! 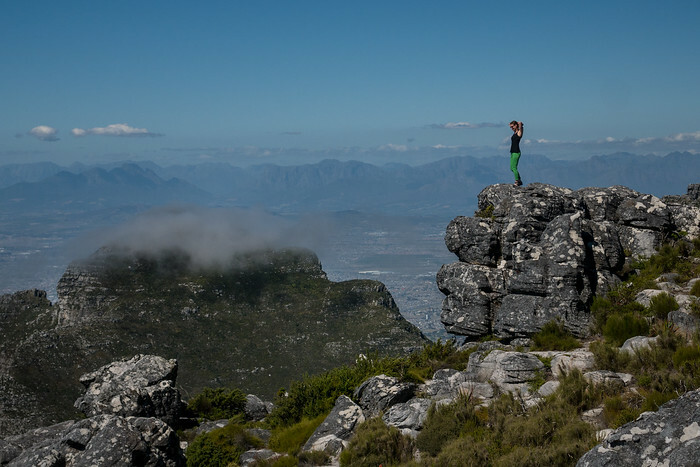 ), and topping it off with a visit to the iconic Table Mountain. Then, I fly solo for the next few months as I move north; I have a lead on a Cheetah Conservation Center outside of Cape Town I plan to check out, and some readers shared projects in Namibia as well—I’ll share more details as I start researching these grassroots projects in the region. More soon, I have a photo essay of Victoria Falls coming this week!